On Thursday and Friday, APAC Shears of Salina is scheduled to continue work on the City of Salina’s annual asphalt mill and inlay project. Weather permitting, they are scheduled to work on Ninth Street from Kirwin to Crawford. The work consists of milling the existing asphalt street surface 1.5 inches and replacing it with new asphalt to rehabilitate and preserve the pavement section. Permanent pavement markings will be placed shortly after the resurfacing. 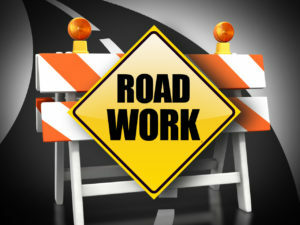 The work will be completed with lane closures. Residents and business owners will be notified prior to changes in access to properties. On-street parking in work zones will be prohibited. Any vehicles or equipment left on the street on the day paving is scheduled may be towed at the owner’s expense. The $1.5 million project is a major component of the City of Salina’s $4.7 million 2018 maintenance capital improvement program.